For some non-custodial parents, unforeseen circumstances can cause them to become delinquent on child support payments; job loss, medical issues and financial burdens can cause challenges in making payments and keeping them current. Filing for bankruptcy can bring relief to those who have substantial debt but it is not likely that this process will relieve filers from owing back child support. The relationship between bankruptcy and child support is very complex and is?best handled with the assistance of a bankruptcy lawyer. More times than not back payments on child support are not dischargeable. Even though filing for bankruptcy can help place an automatic stay on the actions of creditors for other debts such as credit cards, child support debts will remain even after the bankruptcy process is complete. In addition to back child support payments, any other debts relating to the upbringing of a child will also not be discharged. This includes any outstanding medical bills, tuitions, and fees for extra-curricular activities. State laws regarding the support and welfare of children are very strict and violation of these regulations can have larger consequences than back payment debts. Non-custodial parents who owe back child support can face many complications through federal and state laws. State and district attorneys were granted the right to collect back payments for custodial parents through the Child Support Enforcement Act of 1984 and do not hesitate to garnish wages or place liens on property in order to recoup money owed. Also, some states will publish pictures, names and the amount of back child support owed online. For those parents who cannot pay back child support despite their best efforts, there are some alternatives to help ease the financial burden. The most important step is filing a motion with the court to modify the child support agreement. In the motion, the non-custodial parent can outline their financial difficulties and petition the court to reduce the payment amount or change the payment terms. In order to present the best possible motion, a lawyer specializing in family law should be consulted. 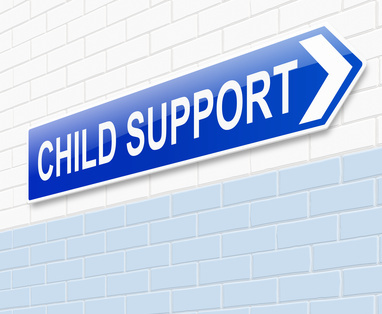 Although neglecting to pay child support can negatively affect those it is meant to help, specifically the child and custodial parent, some individuals are truly unable to meet their support standards. Considering that bankruptcy and child support do no go hand in hand, it is important to consult with an attorney on the best course of action to remedy a delinquent child support situation. Fill out the Bankruptcy Form Now to Get Help!